You've got Thanksgiving dessert all planned out—pumpkin pie, apple pie, and cupcakes for the kids—but something's missing: a little decoration. Give your dessert table extra oomph with homemade cupcake picks that spell out Happy Thanksgiving. 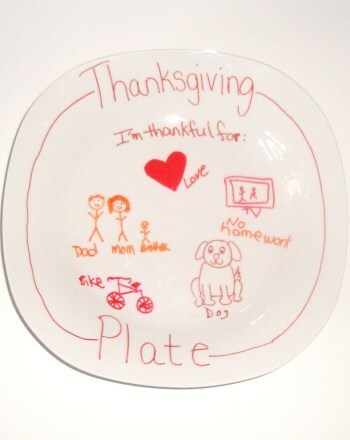 Teach your little one to appreciate all the best things in life with a keepsake Thanksgiving plate. Thanksgiving without turkey? Don't let that happen! Tell you first grader to find the remaining turkeys in town so everyone will have a Thanksgiving feast! 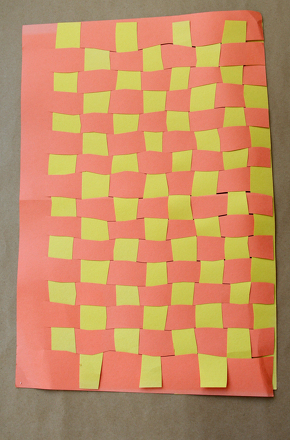 Get into the spirit of the Thanksgiving season with a helpful math sheet full of festive addition problems! 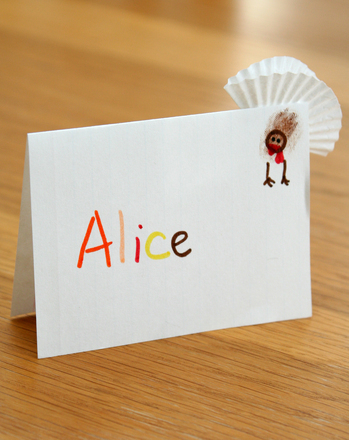 What is your favorite part of Thanksgiving? 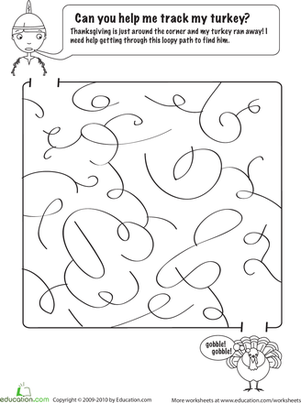 Answer this question and more in this exercise that allows you to practice sentence writing.